A week to spare, the weather is looking good, and it’s a good time of year for fishing. The van and truck are in good nick, so where to go? 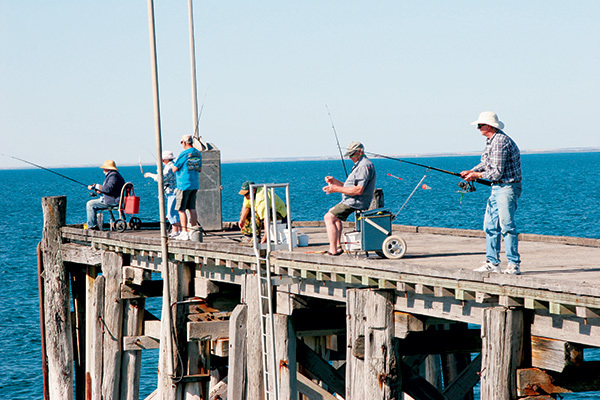 The Yorke Peninsula, an old favourite, gets the nod from me. You could spend a few weeks roaming the ‘boot’ but, with limited time, we decided to head straight to the southern region to just sit at a couple of spots and take it easy. The first stopover was Point Turton, a very comfortable 230km cruise from Adelaide. 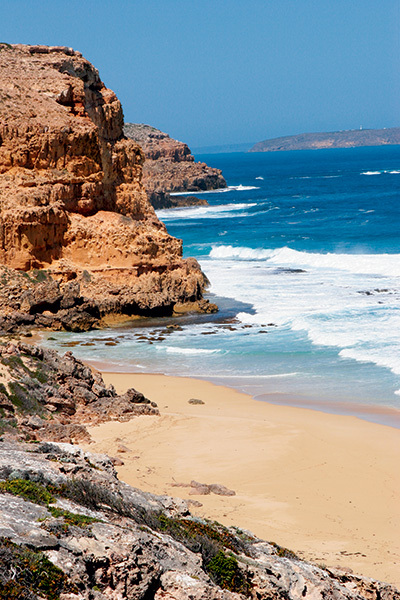 This is an ideal base to explore the south-western region of the peninsula, including Corny Point, Marion Bay, Foul Bay and Innes National Park (NP). The roads in this area are excellent – either sealed or very smooth, all-weather unsealed. The distances aren’t great, either, so it’s easy to cover the lot in a few day trips. The Point Turton Caravan Park is a ripper. It’s small and the facilities are far from new, but it offers a great experience. It’s clean and tidy, and managers Malcolm and Jenny Clifton can’t do enough to help. It’s set right on the waters of Hardwicke Bay, with a fishing-friendly jetty just a short walk away and a boat ramp within arm’s reach. At $27 per night (off-peak) for a powered site, it’s also very good value. 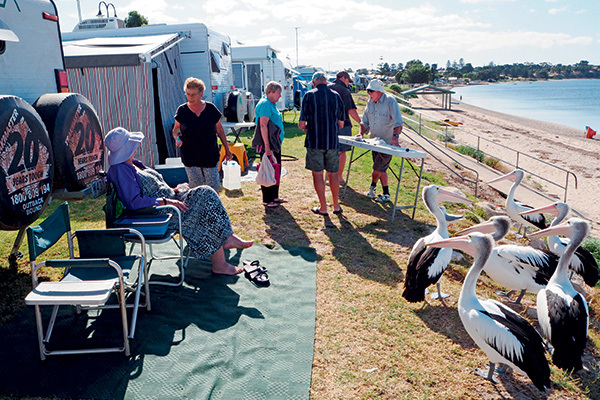 On the eastern side of the peninsula, we landed at the Stansbury Caravan Park – again, right on the foreshore. Just a few steps from the van and you’re in the sand! Like all of the gulf beaches, it’s tidal but great for swimming, boating and windsurfing on the right tide. The jetty and boat launch is just up the road from the park. A beachfront powered site is $33, with sites back off the beach costing $28 (off-peak). The park has more than 100 sites, but the location, the facilities (including a great camp kitchen) and its overall ship-shape condition means that bookings are a good idea. From Stansbury, we roamed around the south-eastern points of interest, wandering down and around through Yorketown, Port Moorowie, Troubridge Point, Edithburgh, Coobowie and Wool Bay. Again, the short distances and good roads mean you can take a lot in, all at a very easy pace. So, here’s how to fill in a week or two! 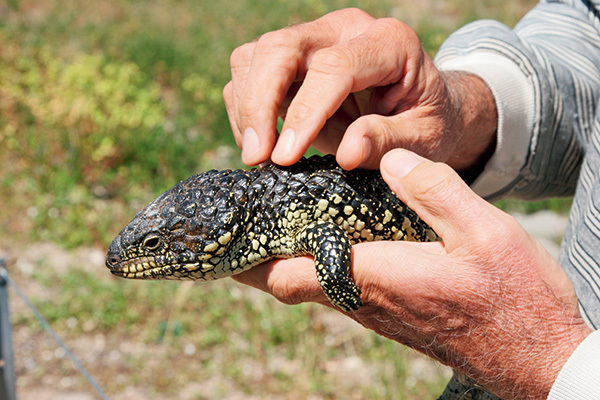 There’s a lot tucked into the nearly 10,000ha that is Innes NP and it’s a must-visit when you’re in the area. Start at the visitors’ centre to get oriented and pay your fees if you haven’t already done so online. There are some lovely coastal drives, excellent beaches for fishing, swimming and surfing, some wrecks for scuba divers, interesting wildlife, and moderate to easy walking trails. 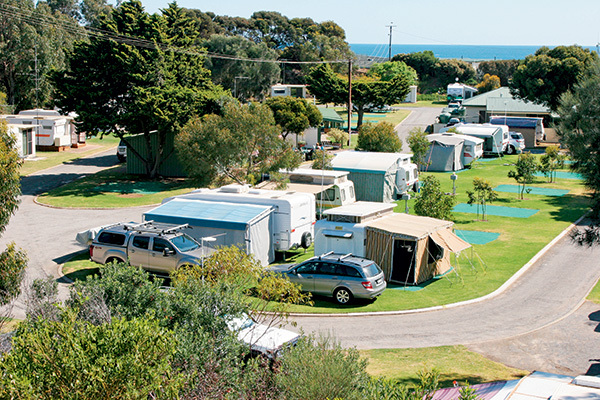 The campsites at Stenhouse Bay and Pondalowie are best suited for caravans, but conditions are pretty basic – no lush green sites, billowing oaks and flash facilities here. It’s very plain but if you want to tuck away in the scrub in relative isolation, then these campgrounds are quite adequate. Fees apply but they are reasonable. Park entry is $10 per vehicle and campsites are $11 per night if you choose to stay. There is also some self-contained accommodation scattered throughout the park. The southern Yorke coastline is spectacular and many of the roads track nicely along the high cliffs, giving excellent access. Take a close look at the local tourism map and pack the camera! I really enjoyed the sections around Corny Point, Point Souttar, Hillocks Drive and parts of Innes NP. The views take in the steep drop-offs into the ocean, white water crashing over the rocks, hazy headlands tapering into the distance, crazy surfers taking on the swells and adventurous fishermen along the way. Exhilarating! This area is also a walker’s paradise. Almost every place you visit will have some form of walking trail on offer. Take your pick – a stroll around Edithburgh, a tougher trail at Hillocks, a bitumen walk at Point Turton, or a reef walk at Port Moorowie, just to mention a few. There’s also plenty of good water to be enjoyed here and, because of the shape of the land, accessing the coastline is quite easy. The coast is littered with fishing spots. There are jetties in most of the towns and they are always very popular. I did quite well off the Point Turton Jetty with some squid and garfish, but Edithburgh and Stenhouse Bay have also been rewarding in the past. For the more adventurous, the beach and rock fishing is good at Coobowie, around Hillocks Drive and Corny Point. There are heaps of options, so it’s best to ask the locals for the tides and to see what’s running. It can also get quite windy down south, so it’s worth asking about sheltered locations for the prevailing conditions. And be careful – big waves and winds can be treacherous. If you’re going to dust off the longboard or boogie board, or just bodysurf, then head west. There are heaps of surf spots all through Innes NP and up to Corny Point. Some of these can be quite challenging and not for the novice (Daly Heads, Trespassers and Chinamans), but others are a little easier (Berry Bay and Pondalowie). Obviously, a check with the locals and a close eye on the weather and beach conditions is essential. Some of these spots are quite isolated. 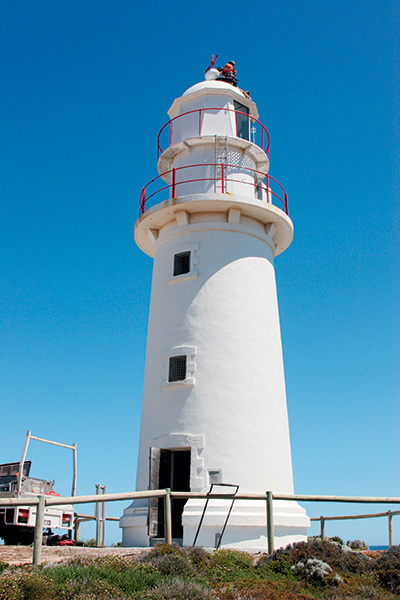 History buffs are spoilt for choice, with interesting Aboriginal culture, mining and agricultural heritage, and historical shipwrecks, jetties and ports. Check out one of the local museums to get started – perhaps either Edithburgh or Stansbury. Inneston, in Innes NP, is part of the Yorke’s gypsum mining past. In the early part of last century, gypsum was mined from the lake here and then processed on site, before being carted on railway carriages pulled by Clydesdale horses to nearby Stenhouse Bay Jetty for shipment. The town was self-reliant, with a school, store, butcher, baker, chemist and sporting facilities servicing the community. By 1970, it was deserted and some of the original houses are now available as accommodation. 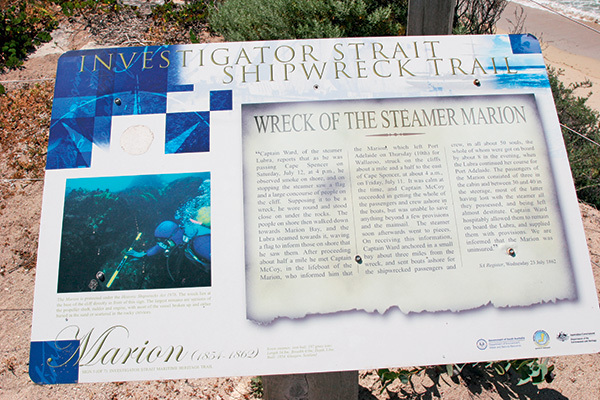 If your historical interests are more maritime in nature then you can check out the stories connected to the numerous old jetties in the region, including Stansbury, Edithburgh, Marion Bay and Wool Bay. 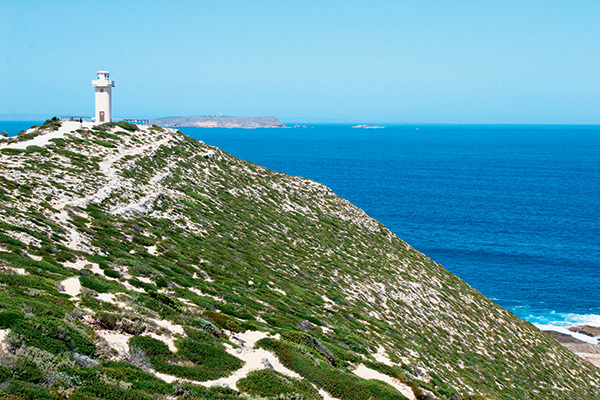 Overall, the southern Yorke Peninsula is a fascinating and rich touring destination. The caravanning infrastructure is excellent, the coastline quite spectacular, and the people very friendly. There’s a huge choice of activities, which could keep you busier than a bee in a bottle, but make sure you take a couple of weeks and include some ‘do-nothing’ days in there, too. 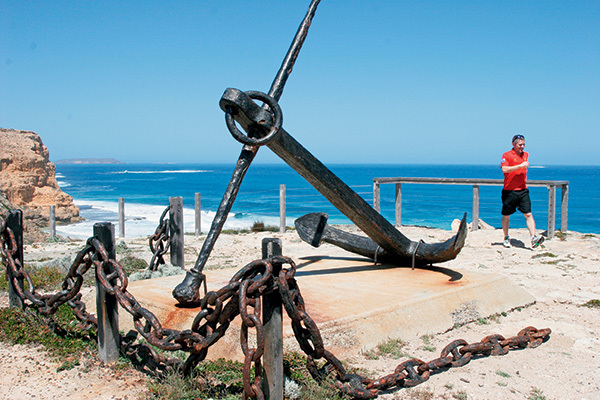 Yorke Peninsula is the first ‘boot’ of land to the west of Adelaide. It’s a 230km drive from Adelaide north through Port Wakefield and then south down to Point Turton, which is the starting point for this trip. Take in the spectacular scenery along the coastal drives. Enjoy the abundance of fishing spots. Get out your walking shoes and ‘Walk the Yorke’. Explore the rich history of the region. The full feature appeared in Caravan World #551 June 2016. Subscribe today for the latest caravan reviews and news every month!